Cumulative table of contents from volumes I-IV. Acknowledgements. Introduction and layout of entries. Abbreviations. VLG Key Facts. VLG Ca. VLG Cl. VLG K A-T (native). VLG K DR (native). VLG K Eag/elk/erg. VLG K Kv-beta. VLG K Kv1-Shak. VLG Kv2-Shab. VLG Kv3-Shaw. VLG Kv4-Shal. VLG K Kvx (unassigned), VLG K M-i (native), VL9 (K)minK Kvx. VLG K M-i. VLG(K)minK. Cumulative Page Index. The Academic Press FactsBooks series has established itself as the best source of easily-accessible and accurate facts about protein groups. Described as 'a growing series of excellent manuals' by Molecular Medicine Today, and 'essential works of reference' by Trends in Biochemical Sciences, the FactsBooks have become the most popular comprehensive data resources available. As they are meticulously researched and use an easy-to-follow format, the FactsBooks will keep you up-to-date with the latest advances in structure, amino acid sequences, physicochemical properties, and biological activity. 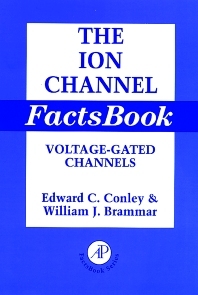 In a set of four interrelated volumes, The Ion Channel FactsBook provides a comprehensive framework of facts about channel molecules central to electrical signaling phenomena in living cells. The fourth volume is devoted to Voltage-gated Channel Families, including those molecular complexes activated or modulated by calcium, potassium, and chloride. Reasearchers in pharamacology, receptor biochemistry, cell biology, general biochemistry, cell signaling, and neuroscience.